Are There Other WQHD Monitors Out There? Also known as WQHD, 2560 x 1440, this is one of the most desired resolution for 27 inch monitors. A few years back getting a monitor with a resolution as high as this was very expensive; however, that has changed. 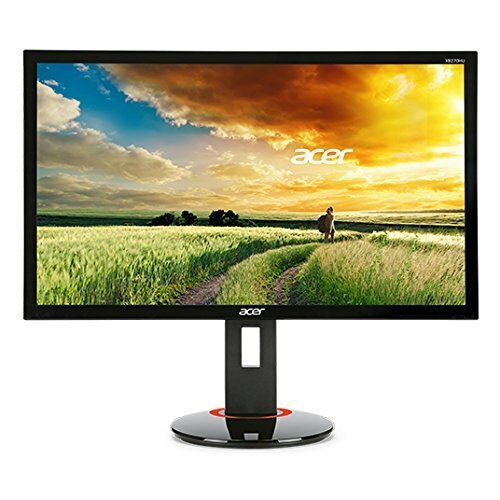 Now you can get 27 inch monitor 2560 x 1440 for very cheap. In fact, you can find WQHD 27 inch monitors being offered at the same price as the FHD 27 inch monitors were a few years back. The thing is having a good monitor that can improve productivity is more of a necessity for many because they can be used to carry work with ease. Other than that, many gamers are also turning to using WQHD resolution monitors thanks to the more powerful hardware being made available. When monitors are manufactured, certain features are kept in mind which attracts many users. The design and overall look of the monitor may seem the most important feature but they are not. The resolution and screen size are two of the most important features, both must complement each other. You can be happy having FHD monitor on a 23 inch or 24 inch monitors, but not so much on 27 inch monitors. For 27 inch monitors, 2560 x 1440 is a lot more like able. In this particular article, we will only look at 27 inch monitor 2560 x 1440 and disregard other screen sizes. The benefits of WQHD resolution cannot be understated. It not only makes your images sharp and crisp, the extra real estate on the screen can significantly improve your productivity. This is specially true if you are a professional photographer, graphic designer or editor. Furthermore, WQHD resolution for gaming is also a sight to behold. It makes the gaming experience significantly better. The only caveat is that you need a powerful system to support WQHD games at high graphics settings while maintaining a good frame rate. Another great thing about 27 inch monitor 2560 x 1440 is that most of them are high end monitors. Therefore, you can expect exclusive high end features from them. Most of them even support 100% sRGB color gamut or 16.7 billion colors. Not only is this pleasing to the eyes, but the professionals can really make good use of this feature. Without further ado, let us have a look at some of the best 27 inch monitor 2560 x 1440. As stated earlier, some of these monitors are quite high end and can put a dent in your wallet. At the same time, there are a few monitors that can be very light on your money. 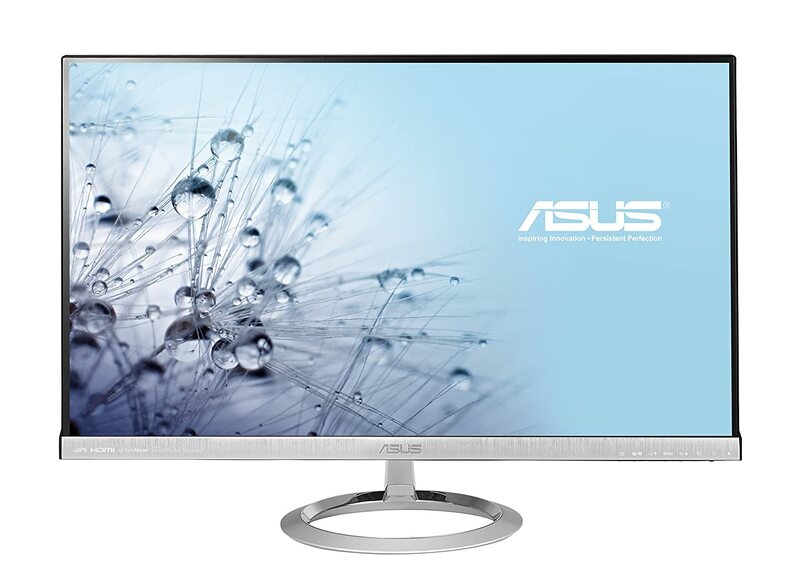 This is one of the most successful ASUS monitor that has the striking resolution of 2560 x 1440. It is not the cheapest one available, but it is one of the most beautiful. The monitor has a frameless design which means that the viewing area is maximized adding to the great experience. Furthermore, this monitor is loaded with technologies. It has an eye care technology which reduces the intensity of blue light as well as reduces the flickers. This allows the users to sit for prolonged hours without having to worry about the eye strains or associated headaches. This monitor features an IPS panel which further perfects the display and also offers great viewing angles up to a degree of 178. The IPS panel on this monitor is not an ordinary, it is a panel that has professional level color accuracy. This monitor features SonicMaster technology ensuring the best possible sound experience that can be achieved from a pair of built in Bang and Olufsen speakers. In terms of connectivity there are ports available including 2 x HDMI, and Display Port to connect to other multimedia devices to the monitor. Many of the customers were satisfied with the overall features ASUS MX27AQ had to offer. Many were gamers who claimed to have had a good gaming experience on this monitor. All in all, about 66 percent of the users gave it a full 5 star review. This is yet another amazing addition to the 27 inch WQHD monitors in the market. Having sRGB of 100 percent means that detailed images are displayed with sharp and bright colors. A color accuracy as this would be most appreciated by professionals. The overall look of this monitor speaks volumes about the build quality. The stand on which it is placed is strong enough to hold the monitor stable in its position and also allows for tilt and swivel so that the user can set the monitor’s angle according to preference. This monitor does not feature an IPS panel, instead it has PLS panel. PLS is very similar to IPS panel but it is the propriety technology of Samsung. This monitor offers 1 x Dual Link DVI, Display Port and an HDMI port for connectivity. It also offers a VESA mount. The response time is a solid 5 ms, which is one of the fastest that can be achieved by a panel like this. This monitor is further loaded with many functions. Picture by picture feature lets the user attach two screens and see the same display simultaneously on both of them. This PIP is also a great way to multitask since user can now work on one window and watch a movie on the other. Customers were happy with this WQHD display and also the overall design of the monitor. What lacked was the fact that good instruction manual was not provided along. All in all, about 70 percent of the users gave it a full 5 star review. 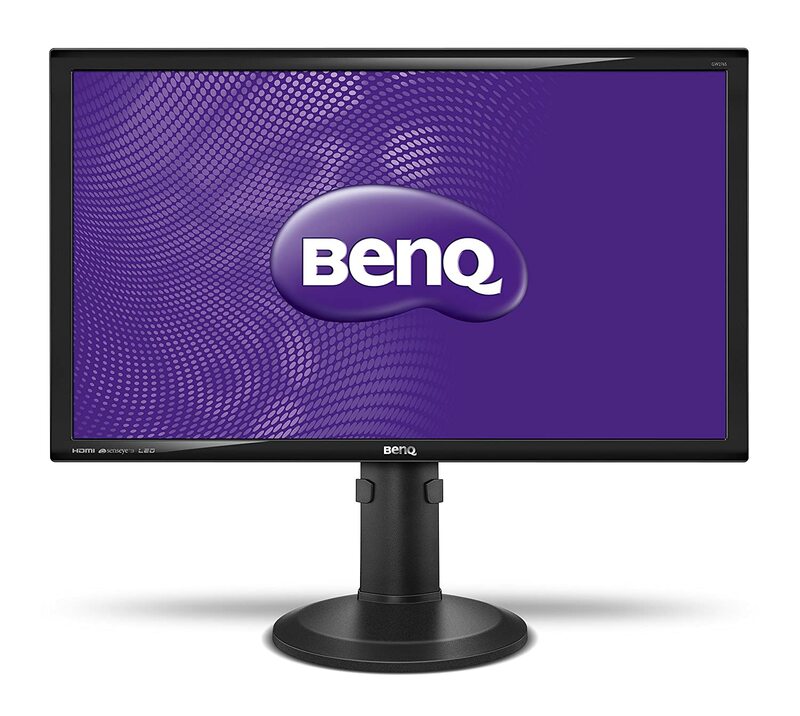 This is a simple looking and budget friendly 27 inch WQHD monitor by BenQ. The first thing that you will notice is that it does not have unique looks. For many, beauty lies in simplicity and that is what this monitor offers. Like all of the monitors listed here, it has a 27 inch screen size with resolution of 2560 x 1440. Having such a resolution means that images will be displayed in their sharpest form and no detail will be missed. This monitors offers IPS panel which further improves the color quality. Furthermore, it cover 100% sRGB color gamut. The stand of the monitor is fully adjustable. You can adjust the height of this monitor, you can rotate, tilt and even swivel it. This is quite important in environment like offices. Then there is also an Eco Mode which, when turned on, consumes least amount of power, thus protecting the environment as well as saving money. This monitor includes D-Sub, DVI-DL, Display Port, HDMI and Headphone jack for extensive connectivity. Like any good monitor, this monitor is loaded with features. There is a zero flicker technology along with blue light filter. Both these features favor the customer and prevent them from the usual eye strains and headaches they get from prolonged monitor usage. Customers were very much satisfied with the stand which was strong and didn’t let the monitor wobble at all. 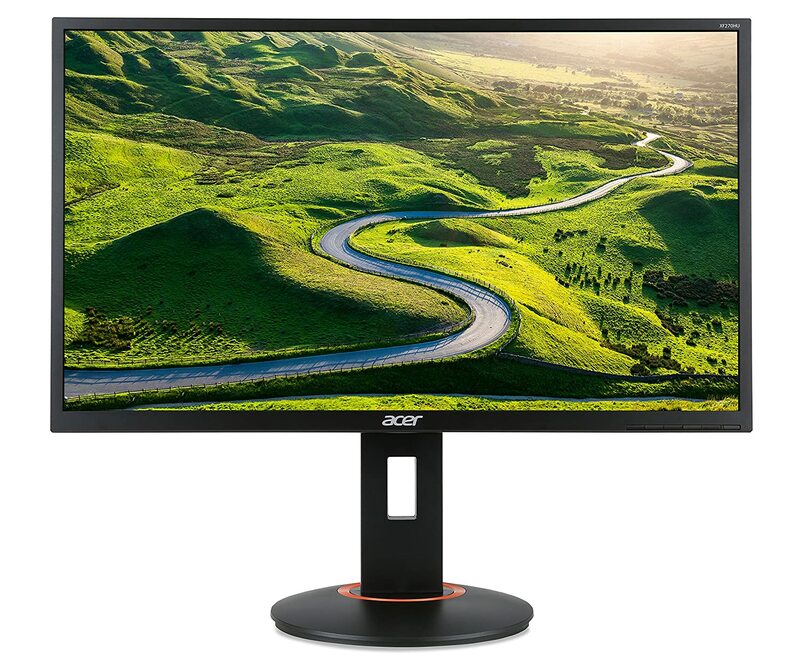 A lot of other features were praised but one drawback put a bad effect to it: many consumers faced backlight bleeding around the corners of the screen, which is common with IPS monitors. On the whole, about 70 percent of the users gave it a full 5 star review. ASUS has another 27 inch monitor offering the same high resolution of 2560 x 1440 at a price of just above three hundred bucks. For those of you who are remotely into monitors, would be quick to realize that this one of the best monitors in this category. The astounding resolution along with the IPS panel offer the most extraordinary and life like images. 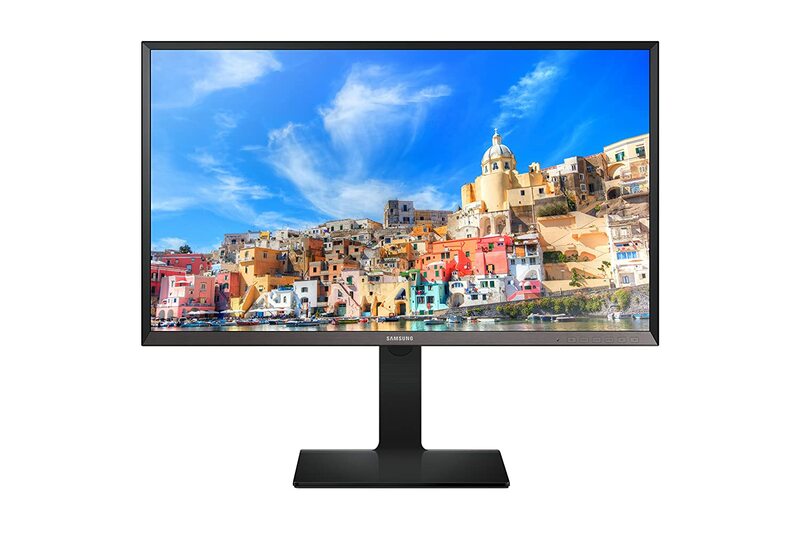 Like any good WQHD professional 27 inch monitors, this offers 100% sRGB coverage and vast array of connectivity options. This monitor includes HDMI, DisplayPort and DVI-Dual Link. The base stand is strong and also allows the user to make adjustments to its height and positioning by either tilting, swiveling or rotating. Moreover, there is also option for wall mounting thanks to the VESA holes that are provided. This monitor is also eye friendly. Asus eye care technology works as a blessing for users who are used to working for longer hours. In this feature the intensity of blue light is reduced and thus headache and eye strain is prevented. Based on customer responses, a total of 64 percent users gave this product a full 5 star review. 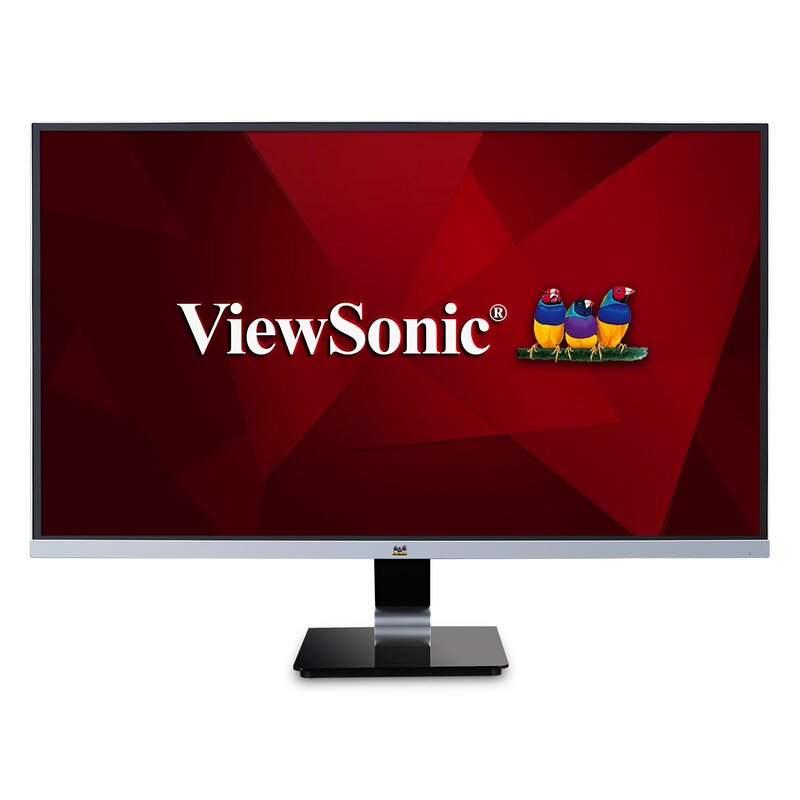 ViewSonic is also a renowned brand when it comes to manufacturing tech related products. At times, their products are so good that they even beat famous brands like LG and Samsung. This monitor has a 27 inch display and is available in the market for a price of above three hundred bucks. A number of connectivity ports are built in so that users can easily connect their multimedia devices like cameras and DVD players to the monitor. These include HDMI, Display Port and Mini Display Port. Reviews regarding this product were somewhat mixed which is why only 54 percent of the users gave it a full 5 star review. Probably the biggest drawback to this was that there was no option for VESA wall mounting. Even though it had an impressive display but still some minor factors pulled down the ratings. 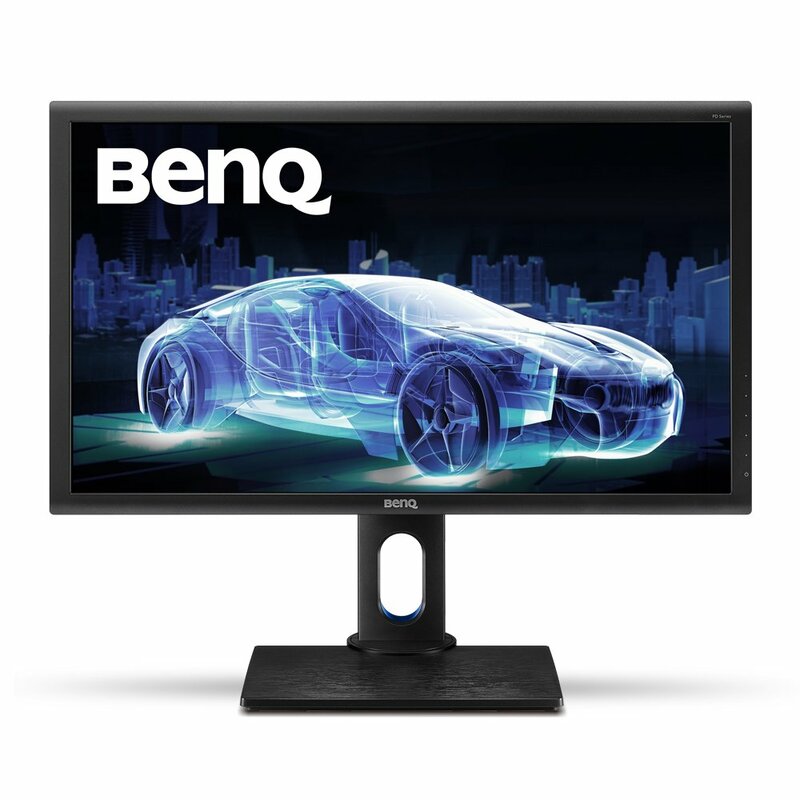 Rating: With WQHD resolution and a high end IPS panel, this monitor is catered to gamers. 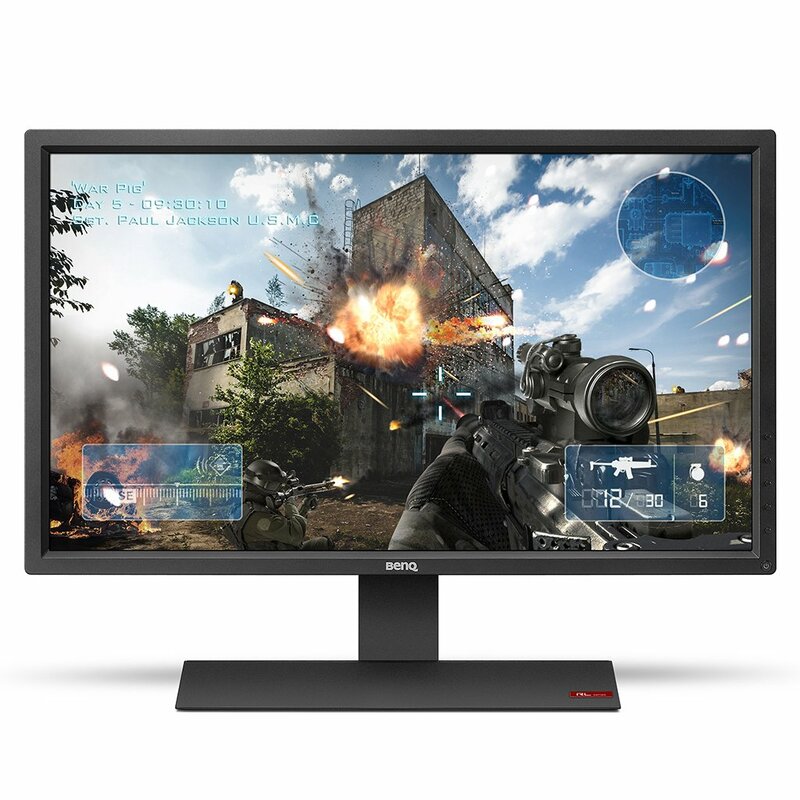 It offers 144Hz refresh rate, 1 ms response time and covers %100 sRGB. It should also be noted that this is one of the few IPS monitors that offers 1 ms response time. With FreeSync technology and fast response time, gamers specifically get great benefit as all fast moving and intense scenes are played smoothly and accurately. Furthermore, this monitor includes 2W speakers, which are not the best in the world but can come in quite handy. This monitor offers 4 x USB 3.0 ports, Display Port, HDMI, DVI and MHL ports. It also has Flicker free and blue light filter that work in the favor of a user who has a habit of playing for prolonged hours. This feature reduces the amount of flickers and the intensity of the blue light so that eye strains and headaches were prevented. The stand on which it is placed holds the monitor still and also at the same time allows for several adjustments to the height, swivel, rotate and tilt. Among the users, about 67 percent of them gave it a full 5 star review. 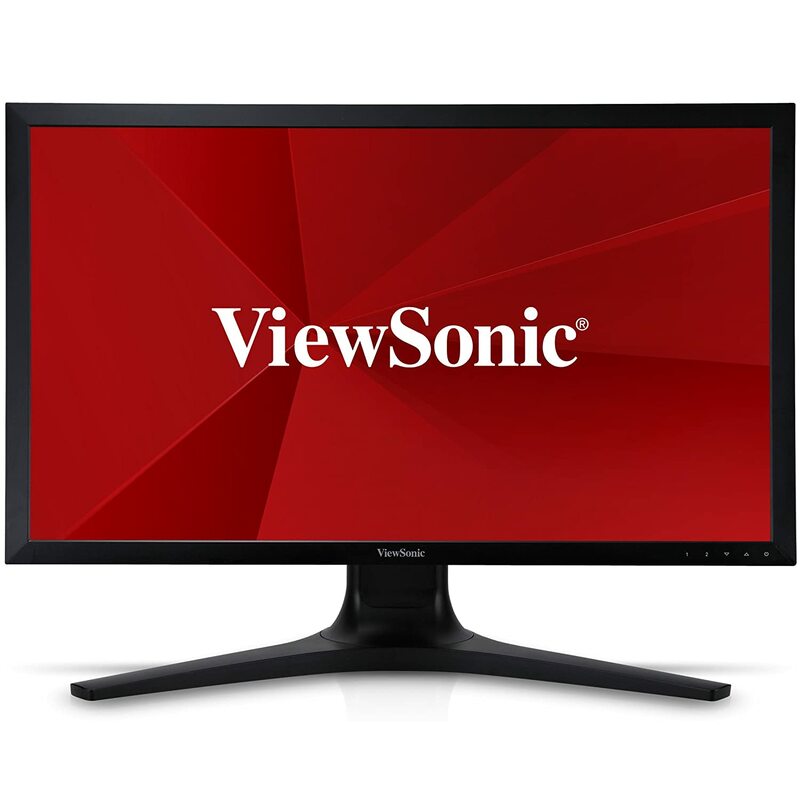 This monitor by ViewSonic is priced quite highly at around seven hundred bucks. It has a wide display of 27 inch combined with impressive resolution of 2560 x 1440. High class built in IPS panel makes sure that the display is of the highest quality worthy of being used in the most professional of environments. Note that this is a professional monitor that has 10 bit panel with 12 bit engine and 14 bit LUT. If there was anything close to color perfection, it is this monitor. This monitor has 2 x Display Port in and 1 x Display Port out for daisy chain. The ergonomic design of the stand keeps the monitor still in its place and also allows the user to make adjustments to the height and angle so that users get the perfect view. Based on customer reviews about 55 percent of the users gave it a full 5 star review. Many apple users were finding a lot of drawbacks to this but on a whole; it was indeed a great job by ViewSonic. 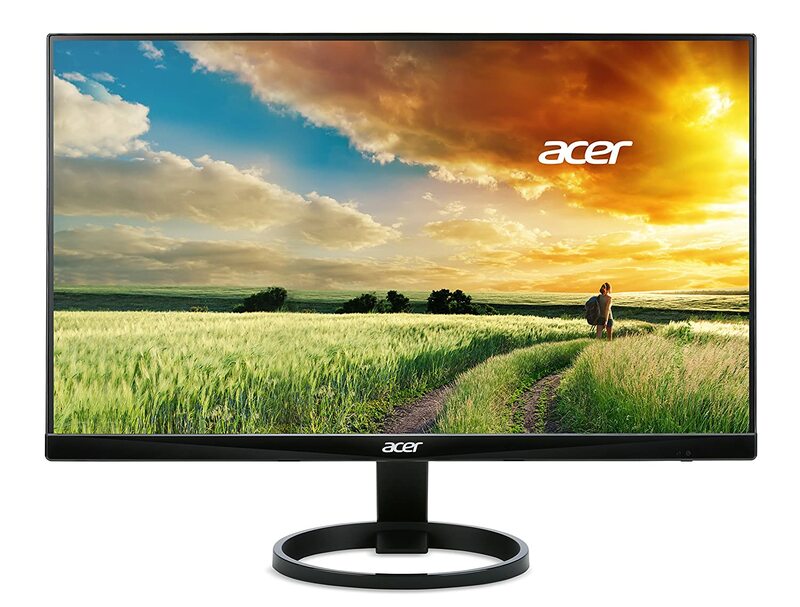 This 27 inch display by Acer is available at a price of above eight hundred bucks a bit. Admittedly, this is quite expensive. However, for all the good reasons. For starters it has 144 Hz refresh rate and along with it offers NVIDIA G-Sync. NVIDIA G-sync technology is basically a technology that removes screen tearing and stuttering issues. It is a bit lacking in terms of connectivity options with its 1 x DisplayPort, and 5 x USB 3.0 ports, it makes it up for the drawback with the rest of the features. This monitor is loaded with technology. One of which is the Ultra Low motion BLUR technology. This ensures that every movement appears smooth and free of all distortions. The base stand, built from high quality materials, provides support and also adjustability with help of tilt and swivel. The screen can be tilted to 5 degree forward and 25 degree backward. This lets the user choose the most comfortable view for them. Customers who bought this particular monitor were satisfied with the ultra slim IPS panel and high resolution. The only issue which came was the problem of backlight bleeding from the sides. All in all, only 56 percent of them gave it a full 5 star review. BenQ doesn’t manufacture that many products but when it does it makes sure that they are up to the mark and able to compete with the best. This is one of the most stunning looking 27 inch WQHD monitor. It is available in the price of nearly five hundred bucks. For starters, this is a professional monitor. It covers 100% of sRGB thanks to premium grade IPS panel. BenQ says that this monitor is ideal for CAD/CAM, and animation thanks to its dedicated mode for such tasks. Unfortunately, due to its high 12 ms response time, this monitor isn’t entirely gaming grade. It has many features that are specific only to professionals. There is a split screen feature which lets the users divide their working window into two and then work simultaneously on both, thus allowing for multitasking. User can work on a spreadsheet in one window and/or watch a video in the other. For screen display there are 3 modes to choose from; Darkroom, CAD.CAM and Animation. Eye care technology and blue light filter reduces the intensity of blue light, thus preventing their eyes from strain and weakness. 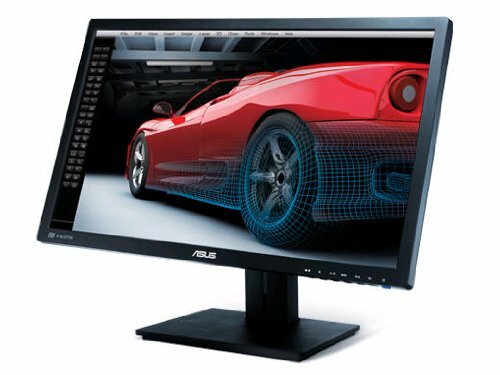 Looking for best 3D Monitor for PC? Most, if not all, 3D PC Monitors are also categorized as professional gaming monitors. Check them out here. There is a gaming monitor for everyone and this list will help you find the best gaming monitor. There a few great ones available. Although not as mature and cheap as the TN, the best IPS monitor 2016 has shown extreme potential in the monitors market.